An order of magnitude of time is (usually) a decimal prefix or decimal order-of-magnitude quantity together with a base unit of time, like a microsecond or a million years. In some cases, the order of magnitude may be implied, like a "second" or "year". In other cases, the quantity name implies the base unit, like "century". In most cases, the base unit is seconds or years. Prefixes are not usually used with a base unit of years, so we say "a million years", not "a megayear". Clock time and calendar time have duodecimal or sexagesimal orders of magnitude rather than decimal, i.e. a year is 12 months, and a minute is 60 seconds. REN21 is a think tank and global multi-stakeholder network which is focused on renewable energy policy. Biomass is plant or animal material used for energy production, heat production, or in various industrial processes as raw material for a range of products. It can be purposely grown energy crops, wood or forest residues, waste from food crops, horticulture, food processing, animal farming, or human waste from sewage plants. Electrification is the process of powering by electricity and, in many contexts, the introduction of such power by changing over from an earlier power source. The broad meaning of the term, such as in the history of technology, economic history, and economic development, usually applies to a region or national economy. Broadly speaking, electrification was the build-out of the electricity generation and electric power distribution systems that occurred in Britain, the United States, and other now-developed countries from the mid-1880s until around 1950 and is still in progress in rural areas in some developing countries. This included the transition in manufacturing from line shaft and belt drive using steam engines and water power to electric motors. Geothermal heating is the direct use of geothermal energy for some heating applications. Humans have taken advantage of geothermal heat this way since the Paleolithic era. Approximately seventy countries made direct use of a total of 270 PJ of geothermal heating in 2004. As of 2007, 28 GW of geothermal heating capacity is installed around the world, satisfying 0.07% of global primary energy consumption. Thermal efficiency is high since no energy conversion is needed, but capacity factors tend to be low since the heat is mostly needed in the winter. Solar water heating makes an important contribution to renewable heat in many countries, most notably in China, which now has 70% of the global total (180 GWth). Most of these systems are installed on multi-family apartment buildings and meet a portion of the hot water needs of an estimated 50–60 million households in China. Worldwide, total installed solar water heating systems meet a portion of the water heating needs of over 70 million households. The use of biomass for heating continues to grow as well. In Sweden, national use of biomass energy has surpassed that of oil. Direct geothermal for heating is also growing rapidly. [ needs update ] The newest addition to Heating is from Geothermal Heat Pumps which provide both heating and cooling, and also flatten the electric demand curve and are thus an increasing national priority   (see also Renewable thermal energy). Prior to the development of coal in the mid 19th century, nearly all energy used was renewable. Almost without a doubt the oldest known use of renewable energy, in the form of traditional biomass to fuel fires, dates from more than a million years ago. Use of biomass for fire did not become commonplace until many hundreds of thousands of years later. Probably the second oldest usage of renewable energy is harnessing the wind in order to drive ships over water. This practice can be traced back some 7000 years, to ships in the Persian Gulf and on the Nile. From hot springs, geothermal energy has been used for bathing since Paleolithic times and for space heating since ancient Roman times. Moving into the time of recorded history, the primary sources of traditional renewable energy were human labor, animal power, water power, wind, in grain crushing windmills, and firewood, a traditional biomass. Historically, hydroelectric power came from constructing large hydroelectric dams and reservoirs, which are still popular in developing countries. 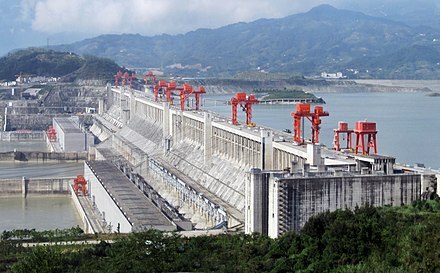 The largest of them are the Three Gorges Dam (2003) in China and the Itaipu Dam (1984) built by Brazil and Paraguay. Solar energy, radiant light and heat from the sun, is harnessed using a range of ever-evolving technologies such as solar heating, photovoltaics, concentrated solar power (CSP), concentrator photovoltaics (CPV), solar architecture and artificial photosynthesis. Solar technologies are broadly characterized as either passive solar or active solar depending on the way they capture, convert, and distribute solar energy. Passive solar techniques include orienting a building to the Sun, selecting materials with favorable thermal mass or light dispersing properties, and designing spaces that naturally circulate air. Active solar technologies encompass solar thermal energy, using solar collectors for heating, and solar power, converting sunlight into electricity either directly using photovoltaics (PV), or indirectly using concentrated solar power (CSP). A photovoltaic system converts light into electrical direct current (DC) by taking advantage of the photoelectric effect. Solar PV has turned into a multi-billion, fast-growing industry, continues to improve its cost-effectiveness, and has the most potential of any renewable technologies together with CSP. Concentrated solar power (CSP) systems use lenses or mirrors and tracking systems to focus a large area of sunlight into a small beam. Commercial concentrated solar power plants were first developed in the 1980s. CSP-Stirling has by far the highest efficiency among all solar energy technologies. 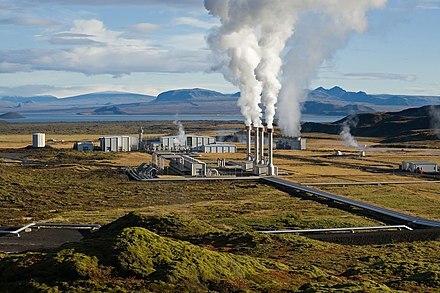 High Temperature Geothermal energy is from thermal energy generated and stored in the Earth. Thermal energy is the energy that determines the temperature of matter. Earth's geothermal energy originates from the original formation of the planet and from radioactive decay of minerals (in currently uncertain  but possibly roughly equal  proportions). The geothermal gradient, which is the difference in temperature between the core of the planet and its surface, drives a continuous conduction of thermal energy in the form of heat from the core to the surface. The adjective geothermal originates from the Greek roots geo, meaning earth, and thermos, meaning heat. 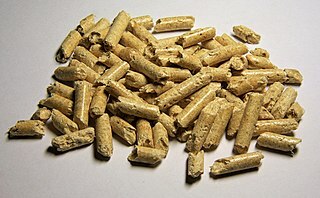 Biomass is biological material derived from living, or recently living organisms. It most often refers to plants or plant-derived materials which are specifically called lignocellulosic biomass. As an energy source, biomass can either be used directly via combustion to produce heat, or indirectly after converting it to various forms of biofuel. Conversion of biomass to biofuel can be achieved by different methods which are broadly classified into: thermal, chemical, and biochemical methods. Wood remains the largest biomass energy source today;  examples include forest residues – such as dead trees, branches and tree stumps –, yard clippings, wood chips and even municipal solid waste. In the second sense, biomass includes plant or animal matter that can be converted into fibers or other industrial chemicals, including biofuels. Industrial biomass can be grown from numerous types of plants, including miscanthus, switchgrass, hemp, corn, poplar, willow, sorghum, sugarcane, bamboo,  and a variety of tree species, ranging from eucalyptus to oil palm (palm oil). Plant energy is produced by crops specifically grown for use as fuel that offer high biomass output per hectare with low input energy. The grain can be used for liquid transportation fuels while the straw can be burned to produce heat or electricity. Plant biomass can also be degraded from cellulose to glucose through a series of chemical treatments, and the resulting sugar can then be used as a first generation biofuel. In 2014 global wind power capacity expanded 16% to 369,553 MW. 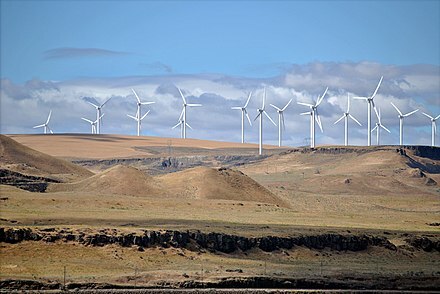 Yearly wind energy production is also growing rapidly and has reached around 4% of worldwide electricity usage,  11.4% in the EU,  and it is widely used in Asia, and the United States. In 2015, worldwide installed photovoltaics capacity increased to 227 gigawatts (GW), sufficient to supply 1 percent of global electricity demands. Solar thermal energy stations operate in the United States and Spain, and as of 2016, the largest of these is the 392 MW Ivanpah Solar Electric Generating System in California. The world's largest geothermal power installation is The Geysers in California, with a rated capacity of 750 MW. Brazil has one of the largest renewable energy programs in the world, involving production of ethanol fuel from sugar cane, and ethanol now provides 18% of the country's automotive fuel. Ethanol fuel is also widely available in the United States. Projections vary. The EIA has predicted that almost two thirds of net additions to power capacity will come from renewables by 2020 due to the combined policy benefits of local pollution, decarbonisation and energy diversification. Some studies have set out roadmaps to power 100% of the world's energy with wind, hydroelectric and solar by the year 2030. Wind turbines are increasing in power with some commercially deployed models generating over 8MW per turbine. 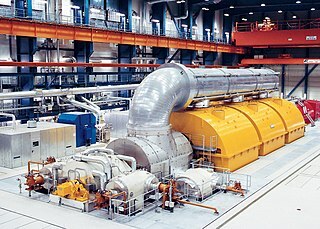 More powerful models are in development, see list of most powerful wind turbines. Spain is the world leader in solar thermal power deployment with 2.3 GW deployed. The United States has 1.8 GW,  most of it in California where 1.4 GW of solar thermal power projects are operational. Several power plants have been constructed in the Mojave Desert, Southwestern United States. As of 2017 only 4 other countries have deployments above 100 MW:  South Africa (300 MW) India (229 MW) Morocco (180 MW) and United Arab Emirates (100 MW). Commercial concentrated solar power plants were first developed in the 1980s. As the cost of solar electricity has fallen, the number of grid-connected solar PV systems has grown into the millions and utility-scale solar power stations with hundreds of megawatts are being built. Many solar photovoltaic power stations have been built, mainly in Europe, China and the United States. The 1.5 GW Tengger Desert Solar Park, in China is the world's largest PV power station. Many of these plants are integrated with agriculture and some use tracking systems that follow the sun's daily path across the sky to generate more electricity than fixed-mounted systems. Since the 1970s, Brazil has had an ethanol fuel program which has allowed the country to become the world's second largest producer of ethanol (after the United States) and the world's largest exporter. Brazil's ethanol fuel program uses modern equipment and cheap sugarcane as feedstock, and the residual cane-waste (bagasse) is used to produce heat and power. There are no longer light vehicles in Brazil running on pure gasoline. 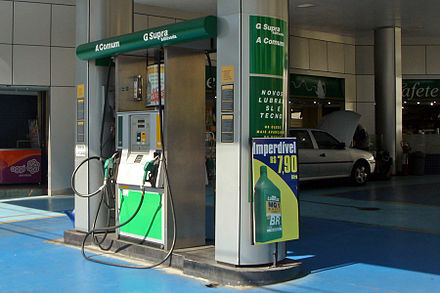 By the end of 2008 there were 35,000 filling stations throughout Brazil with at least one ethanol pump. Unfortunately, Operation Car Wash has seriously eroded public trust in oil companies and has implicated several high ranking Brazilian officials. Geothermal power is cost effective, reliable, sustainable, and environmentally friendly,  but has historically been limited to areas near tectonic plate boundaries. 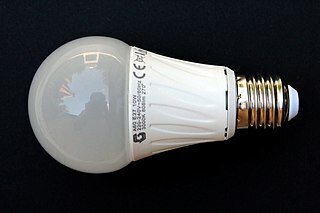 Recent technological advances have expanded the range and size of viable resources, especially for applications such as home heating, opening a potential for widespread exploitation. Geothermal wells release greenhouse gases trapped deep within the earth, but these emissions are much lower per energy unit than those of fossil fuels. 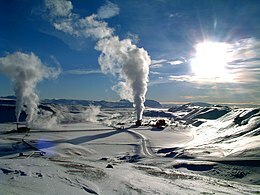 As a result, geothermal power has the potential to help mitigate global warming if widely deployed in place of fossil fuels. Technology advances are opening up a huge new market for solar power: the approximately 1.3 billion people around the world who don't have access to grid electricity. Even though they are typically very poor, these people have to pay far more for lighting than people in rich countries because they use inefficient kerosene lamps. 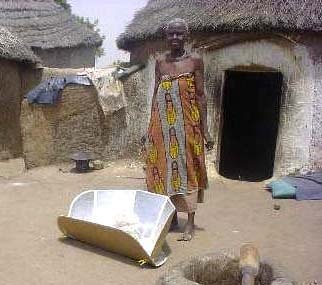 Solar power costs half as much as lighting with kerosene. As of 2010, an estimated 3 million households get power from small solar PV systems. Kenya is the world leader in the number of solar power systems installed per capita. More than 30,000 very small solar panels, each producing 1  2 to 30 watts, are sold in Kenya annually. Some Small Island Developing States (SIDS) are also turning to solar power to reduce their costs and increase their sustainability. Enhanced geothermal systems (EGS) are a new type of geothermal power technologies that do not require natural convective hydrothermal resources. The vast majority of geothermal energy within drilling reach is in dry and non-porous rock. EGS technologies "enhance" and/or create geothermal resources in this "hot dry rock (HDR)" through hydraulic stimulation. EGS and HDR technologies, such as hydrothermal geothermal, are expected to be baseload resources which produce power 24 hours a day like a fossil plant. Distinct from hydrothermal, HDR and EGS may be feasible anywhere in the world, depending on the economic limits of drill depth. Good locations are over deep granite covered by a thick (3–5 km) layer of insulating sediments which slow heat loss. There are HDR and EGS systems currently being developed and tested in France, Australia, Japan, Germany, the U.S. and Switzerland. The largest EGS project in the world is a 25 megawatt demonstration plant currently being developed in the Cooper Basin, Australia. The Cooper Basin has the potential to generate 5,000–10,000 MW. A heat pump is a device that provides heat energy from a source of heat to a destination called a "heat sink". Heat pumps are designed to move thermal energy opposite to the direction of spontaneous heat flow by absorbing heat from a cold space and releasing it to a warmer one. A solar-assisted heat pump represents the integration of a heat pump and thermal solar panels in a single integrated system. Typically these two technologies are used separately (or only placing them in parallel) to produce hot water. In this system the solar thermal panel performs the function of the low temperature heat source and the heat produced is used to feed the heat pump's evaporator. The goal of this system is to get high COP and then produce energy in a more efficient and less expensive way. An electric aircraft is an aircraft that runs on electric motors rather than internal combustion engines, with electricity coming from fuel cells, solar cells, ultracapacitors, power beaming,  or batteries. For either photovoltaic or thermal systems, one option is to loft them into space, particularly Geosynchronous orbit. To be competitive with Earth-based solar power systems, the specific mass (kg/kW) times the cost to loft mass plus the cost of the parts needs to be $2400 or less. I.e., for a parts cost plus rectenna of $1100/kW, the product of the $/kg and kg/kW must be $1300/kW or less. Thus for 6.5 kg/kW, the transport cost cannot exceed $200/kg. While that will require a 100 to one reduction, SpaceX is targeting a ten to one reduction, Reaction Engines may make a 100 to one reduction possible. Renewable energy accounted for 12.2 % of total primary energy consumption and 14.94 % of the domestically produced electricity in the United States in 2016. Hydroelectric power is currently the largest producer of renewable electricity in the country, generating around 6.5% of the nation's total electricity in 2016 as well as 45.71% of the total renewable electricity generation. The United States is the fourth largest producer of hydroelectricity in the world after China, Canada and Brazil. Mandatory renewable energy targets are part of government legislated schemes which require electricity retailers to source specific proportions of total electricity sales from renewable energy sources according to a fixed time frame. The purpose of these schemes is to promote renewable energy and reduce dependency on fossil fuels. If this results in an additional cost of electricity, the additional cost is distributed across most customers by increases in other tariffs. The cost of this measure is therefore not funded by government budgets, except for costs of establishing and monitoring the scheme and any audit and enforcement actions. As the cost of renewable energy has become cheaper than other sources, meeting and exceeding a renewable energy target will also reduce the cost of electricity to consumers. 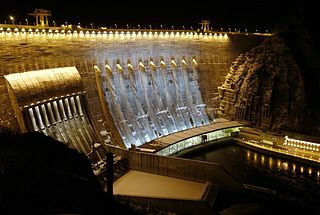 Renewable energy in Russia mainly consists of hydroelectric energy. The country is the sixth largest producer of renewable energy in the world, although it is 56th when hydroelectric energy is not taken into account. Some 179 TWh of Russia's energy production comes from renewable energy sources, out of a total economically feasible potential of 1823 TWh. 16% of Russia's electricity is generated from hydropower, and less than 1% is generated from all other renewable energy sources combined. Roughly 68% of Russia's electricity is generated from thermal power and 16% from nuclear power. Deploying Renewables 2011: Best and Future Policy Practice is a 2011 book by the International Energy Agency. The book analyses the recent successes in renewable energy, which now accounts for almost a fifth of all electricity produced worldwide, and addresses how countries can best capitalize on that growth to realise a sustainable energy future. The book says that renewable energy commercialization must be stepped up, especially given the world’s increasing appetite for energy and the need to meet this demand more efficiently and with low-carbon energy sources. Wind power and other renewable energy sources offer great potential to address issues of energy security and sustainability. 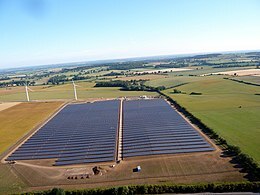 Under its commitment to the EU renewable energy directive of 2009, France has a target of producing 23% of its total energy needs from renewable energy by 2020. This figure breaks down to renewable energy providing 33% of energy used in the heating and cooling sector, 27% of the electricity sector and 10.5% in the transport sector. By the end of 2014, 14.3% of France's total energy requirements came from renewable energy, a rise from 9.6% in 2005. By the end of 2016 Austria already fulfilled their EU Renewables Directive goal for the year 2020. By 2016 renewable energies accounted to 33,5% of the final energy consumption in all sectors. The renewable energy sector is also accountable for hosting 41591 jobs and creating a revenue of 7219 Mio€ in 2016. ↑ [ better source needed ] Ipsos Global @dvisor (23 June 2011). "Global Citizen Reaction to the Fukushima Nuclear Plant Disaster" (PDF). p. 3. Archived from the original (PDF) on 3 December 2011. ↑ Ellabban, Omar; Abu-Rub, Haitham; Blaabjerg, Frede (2014). "Renewable energy resources: Current status, future prospects and their enabling technology". Renewable and Sustainable Energy Reviews . 39: 748–764 . doi:10.1016/j.rser.2014.07.113. ↑ "Global renewable energy trends". Deloitte Insights. ↑ "Expect the Unexpected : The Disruptive Power of Low-carbon Technology" (PDF). Carbontracker.org. pp. 3, 30. 1 2 3 4 REN21 (2017). "Renewables global futures report 2017". ↑ Vad Mathiesen, Brian; et al. (2015). "Smart Energy Systems for coherent 100% renewable energy and transport solutions". Applied Energy . 145: 139–154. doi:10.1016/j.apenergy.2015.01.075. ↑ "12 Countries Leading the Way in Renewable Energy". Click Energy. 1 2 3 4 5 6 7 8 9 10 11 12 13 14 15 16 17 "Renewable Electricity Capacity And Generation Statistics June 2018" . Retrieved 27 November 2018. ↑ "Renewable Electricity Capacity And Generation Statistics June 2018" . Retrieved 3 January 2019. ↑ Sütterlin, B.; Siegrist, Michael (2017). "Public acceptance of renewable energy technologies from an abstract versus concrete perspective and the positive imagery of solar power". Energy Policy. 106. ↑ World Energy Assessment (2001). Renewable energy technologies Archived 9 June 2007 at the Wayback Machine , p. 221. ↑ Armaroli, Nicola; Balzani, Vincenzo (2011). "Towards an electricity-powered world". Energy and Environmental Science . 4 (9): 3193–3222. doi:10.1039/c1ee01249e. ↑ Armaroli, Nicola; Balzani, Vincenzo (2016). "Solar Electricity and Solar Fuels: Status and Perspectives in the Context of the Energy Transition". Chemistry – A European Journal . 22: 32–57. doi:10.1002/chem.201503580. ↑ Jacobson, Mark Z.; et al. (2015). ": 100% clean and renewable wind, water, and sunlight (WWS) all-sector energy roadmaps for the 50 United States". Energy and Environmental Science . 8 (7): 2093–2117. doi:10.1039/C5EE01283J. ↑ Schröder, K.-P.; Smith, R.C. (2008). "Distant future of the Sun and Earth revisited". Monthly Notices of the Royal Astronomical Society . 386 (1): 155–163. arXiv: 0801.4031 . Bibcode:2008MNRAS.386..155S. doi:10.1111/j.1365-2966.2008.13022.x. See also Palmer, J. (2008). "Hope dims that Earth will survive Sun's death". New Scientist . Retrieved 24 March 2008. 1 2 Sills, Ben (29 August 2011). "Solar May Produce Most of World's Power by 2060, IEA Says". Bloomberg. 1 2 Leone, Steve (25 August 2011). "U.N. Secretary-General: Renewables Can End Energy Poverty". Renewable Energy World. ↑ K. Kris Hirst. "The Discovery of Fire". About.com . Retrieved 15 January 2013. ↑ "wind energy". The Encyclopedia of Alternative Energy and Sustainable Living . Retrieved 15 January 2013. ↑ Weber suggests that the modern economic world will determine the lifestyle of everyone born into it "until the last hundredweight of fossil fuel is burned" ( bis der letzte Zentner fossilen Brennstoffs verglüht ist ). ↑ "Data and Statistics - IRENA REsource". resourceirena.irena.org. Retrieved 2019-04-08. ↑ "Offshore stations experience mean wind speeds at 80 m that are 90% greater than over land on average." Evaluation of global wind power "Overall, the researchers calculated winds at 80 meters [300 feet] above sea level traveled over the ocean at approximately 8.6 meters per second and at nearly 4.5 meters per second over land [20 and 10 miles per hour, respectively]." Global Wind Map Shows Best Wind Farm Locations. Retrieved 30 January 2006. ↑ Moran, Emilio F.; Lopez, Maria Claudia; Moore, Nathan; Müller, Norbert; Hyndman, David W. (2018). "Sustainable hydropower in the 21st century". Proceedings of the National Academy of Sciences. 115 (47): 11891–11898. doi:10.1073/pnas.1809426115. ISSN 0027-8424. ↑ "DocHdl2OnPN-PRINTRDY-01tmpTarget" (PDF). Retrieved 2019-03-26. ↑ Institute, Worldwatch (January 2012). "Use and Capacity of Global Hydropower Increases". ↑ "GSR 2016 Full Report" (PDF). Ren21.net. p. 64. ↑ Dye, S. T. (2012). "Geoneutrinos and the radioactive power of the Earth". Reviews of Geophysics. 50 (3): 3. arXiv: 1111.6099 . Bibcode:2012RvGeo..50.3007D. doi:10.1029/2012rg000400. ↑ "Energy crops". crops are grown specifically for use as fuel. BIOMASS Energy Centre. Archived from the original on 10 March 2013. Retrieved 6 April 2013. ↑ Sweet sorghum for food, feed and fuel Archived 4 September 2015 at the Wayback Machine New Agriculturalist, January 2008. ↑ "Opinion of the EEA Scientific Committee on Greenhouse Gas Accounting in Relation to Bioenergy" . Retrieved 1 November 2012. 1 2 3 4 REN21 (2011). "Renewables 2011: Global Status Report" (PDF). pp. 13–14. Archived from the original (PDF) on 13 May 2012. ↑ "WHO - Household air pollution and health". Who.int. Retrieved 26 March 2019. ↑ Hunt, Tam (9 March 2015). "The Solar Singularity Is Nigh". Greentech Media. Retrieved 29 April 2015. ↑ "Global New Investment in Renewable Energy..." (JPG). Ren21.net. Retrieved 26 March 2019. ↑ REN21 (2012). Renewables Global Status Report 2012 Archived 15 December 2012 at the Wayback Machine p. 17. ↑ "RENEWABLES 2015 GLOBAL STATUS REPORT" (PDF). Ren21.net. Retrieved 26 March 2019. ↑ Gloystein, Henning (23 November 2011). "Renewable energy becoming cost competitive, IEA says". Reuters. ↑ "Renewable Energy Essentials : Hydropower" (PDF). Iea.org. Retrieved 26 March 2019. ↑ L. Lia; T. Jensen; K.E. Stensbyand; G. Holm; A.M. Ruud. "The current status of hydropower development and dam construction in Norway" (PDF). Ntnu.no. Retrieved 26 March 2019. ↑ "New Transmission Line Reaches Milestone". Vpr.net. ↑ "European Offshore Wind Deployment Centre". 2018-04-10. Retrieved 23 September 2018. 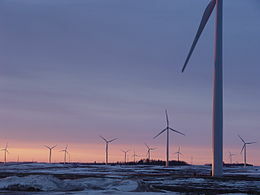 ↑ "World's Most Powerful Wind Turbine Installed" . Retrieved 23 September 2018. ↑ "Dong vælger Vestas' supermølle" . Retrieved 22 September 2018. ↑ Barkham, Patrick (8 January 2009). "Blown away". London: Guardian. Retrieved 21 November 2011. ↑ Vyas, Kashyap (15 February 2018). 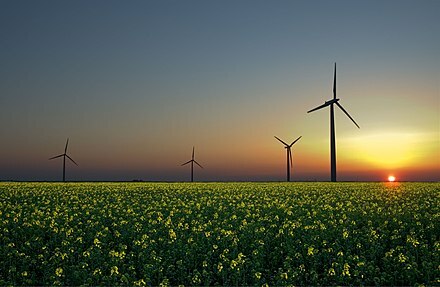 "The 11 Biggest Wind Farms and Wind Power Constructions That Reduce Carbon Footprint". Interesting Engineering. Retrieved 2018-12-20. 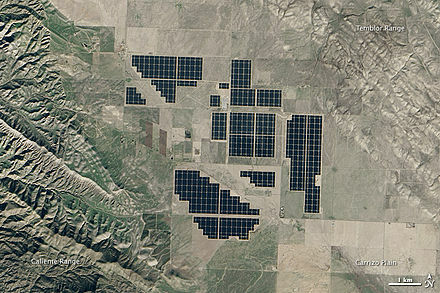 ↑ "Solar Energy Projects in California". energy.ca.gov. Retrieved 3 January 2019. ↑ Parkinson, Giles (13 August 2014). "Citigroup: Outlook for global solar is getting brighter". RenewEconomy. Retrieved 18 August 2014. ↑ Denis Lenardic. Large-scale photovoltaic power plants ranking 1 - 50 Archived 1 January 2016 at the Wayback Machine PVresources.com, 2010. ↑ "Biofuels". www.iea.org. Retrieved 2019-04-09. ↑ William E. Glassley. Geothermal Energy: Renewable Energy and the Environment Archived 16 July 2011 at the Wayback Machine CRC Press, 2010. ↑ FS-UNEP Collaborating Centre, Global trends in renewable energy investment Archived 14 November 2016 at the Wayback Machine , 2016 p. 14. ↑ Bullis, Kevin (27 January 2012). "In the Developing World, Solar Is Cheaper than Fossil Fuels". Technology Review. 1 2 "Policies". www.iea.org. Retrieved 2019-04-08. ↑ "IRENA Membership". /irenamembership. Retrieved 2019-04-08. ↑ Tran, Mark (2 November 2011). "UN calls for universal access to renewable energy". The Guardian. London. ↑ McMahon, Jeff. "Despite Trump, U.S. Progressing Toward Obama's Climate Goals". Forbes. Retrieved 2019-04-08. ↑ Gipe, Paul (4 April 2013). "100 Percent Renewable Vision Building". Renewable Energy World. ↑ Sørensen, Bent (1975). "A plan is outlined according to which solar and wind energy would supply Denmark's needs by the year 2050". Science . 189 (4199): 255–260. Bibcode:1975Sci...189..255S. doi:10.1126/science.189.4199.255. PMID 17813696. ↑ Lund, Henrik (2006). "Large-scale integration of optimal combinations of PV, wind and wave power into the electricity supply". Renewable Energy . 31 (4): 503–515. doi:10.1016/j.renene.2005.04.008. ↑ Mark A. Delucchi & Mark Z. Jacobson (2011). "Providing all global energy with wind, water, and solar power, Part II: Reliability, system and transmission costs, and policies" (PDF). Energy Policy . Elsevier Ltd. pp. 1170–1190. ↑ Wiseman, John; et al. (April 2013). "Post Carbon Pathways" (PDF). University of Melbourne. Archived from the original (PDF) on 20 June 2014. ↑ "Defense-scale supercomputing comes to renewable energy research". Sandia National Laboratories . Retrieved 16 April 2012. ↑ Duchane, Dave; Brown, Don (December 2002). "Hot Dry Rock (HDR) Geothermal Energy Research and Development at Fenton Hill, New Mexico" (PDF). Geo-Heat Centre Quarterly Bulletin. 23 (4). Klamath Falls, Oregon: Oregon Institute of Technology. pp. 13–19. ISSN 0276-1084 . Retrieved 5 May 2009. ↑ Upadhyay, Anand (6 April 2015). "Brazil Announces Huge 350 MW Floating Solar Power Plant". CleanTechnica.com. ↑ "Solar-assisted heat pumps" . Retrieved 21 June 2016. ↑ Collings AF and Critchley C (eds). Artificial Photosynthesis –From Basic Biology to Industrial Application (Wiley-VCH Weinheim 2005) p ix. ↑ Faunce, Thomas A.; Lubitz, Wolfgang; Rutherford, A. W. (Bill); MacFarlane, Douglas; Moore, Gary F.; Yang, Peidong; Nocera, Daniel G.; Moore, Tom A.; Gregory, Duncan H.; Fukuzumi, Shunichi; Yoon, Kyung Byung; Armstrong, Fraser A.; Wasielewski, Michael R.; Styring, Stenbjorn (2013). "Energy and environment policy case for a global project on artificial photosynthesis". Energy & Environmental Science. RSC Publishing. 6 (3): 695. doi:10.1039/C3EE00063J . Retrieved 19 August 2013. ↑ Gourlay, Simon (12 August 2008). "Wind farms are not only beautiful, they're absolutely necessary". The Guardian. UK. Retrieved 17 January 2012. ↑ Spellman, Frank R. (2013). Safe Work Practices for Green Energy Jobs (first ed.). DEStech Publications. p. 323. ISBN 978-1-60595-075-4 . Retrieved 29 December 2014. ↑ "Renewable energy in transport" (PDF). Iea.org. Retrieved 26 March 2019. ↑ "Statistical Review of World Energy - Home - BP". BP global. HM Treasury (2006). Stern Review on the Economics of Climate Change , 575 pages. International Energy Agency (2011). Solar Energy Perspectives , OECD. Lovins, Amory (2011). Reinventing Fire: Bold Business Solutions for the New Energy Era , Chelsea Green Publishing, 334 pages. Jaffe, Amy Myers, "Green Giant: Renewable Energy and Chinese Power", Foreign Affairs , vol. 97, no. 2 (March / April 2018), pp. 83–93. Discusses China's aspirations to become "...the renewable energy superpower of the future."